Sole treadmills are designed with the quality and durability you would expect of any high-end product, such as those you’d find in a gym or hotel fitness center. They actually gained much of their popularity by being featured work out machines of well-known hotels such as Hiltons, and have become a staple of home work-outs due to their reliability and ease of use. Here we have listed what we think to be the 3 best Sole Treadmills of 2018. 0 - 15% Lifetime Frame and Motor. 3 years on Deck, Electronics and Parts. 1 year on Labor. 6.5-inch LCD display . 0 - 15% Frame and motor: Lifetime. Labor: One year 7.5-inch LCD display. 0 - 15% Lifetime Frame, Motor & Deck Warranty. Five year Electronics and Parts. Two years on Labor. 7.5-inch LCD display. ​“Whisper Deck” design – Provides a quiet workout by putting less tension on the motor while reducing joint impact by up to 40% versus running on asphalt. ​Easy assist folding deck – Safety Lock Deck design keeps the deck locked in an upright position when the treadmill is not being used, while easy Assist Folding Deck Design lets you release the deck automatically. ​Message Board – Provides scrolling, on board messages that display not only every detail of the work out, but also instructions from owner’s manual. Available on most machines. The Sole Fitness F80 is a durable and high quality model that has comfort at the heart of its design. With the F80, Sole has once again done justice to its leading principles of sophisticated technology blended with a sturdy frame. Granted it is expensive but it is worth the investment. If you’re searching for top end residential workout equipment that guides and ultimately brings the end result you desire, then choose and buy Sole Fitness F85 Folding Treadmill. Sole has once again outdone itself bringing yet another splendid treadmill for domestic use. 3 HP motor with a re-engineered functionality, the Sole Fitness F63 merges together affordability with Sole’s quality and performance. Foldable by design, it is easy to assemble and simple to use with a no-frill set of features designed for those with only fitness on their mind. The Sole Fitness S77 is your perfect reason for not waking up early and going to the gym. Instead do your workout at home with this 4.0 CHP motor accompanied with a long and wide deck, easy control buttons for a range of speed and inclination, 10 preset programs, and other impressive features. The Sole Fitness S65 is your ideal path to achieving total fitness. Powerful motor, wide range of speed and incline, easy storage with its automatic folding mechanism in addition to quick controls, music port and a great LCD display makes it ideal for exercising at home with absolutely no hassles. Why buy a Sole Fitness treadmill? 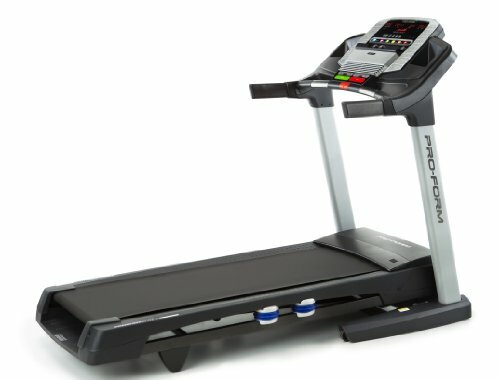 When looking to purchase a treadmill, it is crucial that the machine is from trusted brand like Sole. They are not only dedicated to producing quality products, but they have some of the most extensive warranties around. There are many different models to choose from that appeal to the casual walker to the fitness expert. Sole model treadmills have the flexibility to fold, or stay stationary, so regardless of your fitness goals or space restraints, you can find the right Sole treadmill for your needs.